The victory in parliamentary run-offs means the new President will have an easier time getting new legislation passed. Francois Hollande's parliamentary majority will help him enact a high-spending plan to drag France out of an economic slump. FRENCH PRESIDENT Francois Hollande’s Socialist Party has won an absolute majority in the country’s parliament, after run-off elections were held yesterday. The Socialists and their allies won at least 314 seats in the 577-member National Assembly – an absolute majority which will help Hollande implement his high-spending economic proposals which he hopes will help the country to overcome the eurozone’s economic crisis. The party fell short of the three-fifths majority that it needed to enforce changes to the country’s constitution, however, an outcome which will please the centre-right Union for a Popular Movement, the party previously led by Nicolas Sarkzoy. Perhaps more meaningful than the Socialists’ expected victory, however, was the failure of the far-right National Front’s leader Marine Le Pen – who came third in the Presidential election, with 18 per cent of votes – to win a seat in parliament. That party will have other representation in the assembly, thanks to its two seats – the first time since 1998 that the far-right party will be represented. One of the two MPs is Marion Marechal-Le Pen, Marine’s niece, who at 22 is the youngest MP in the post-war era. Results in the 11 expatriate constituencies – including the 3rd circonscription, which includes the votes of French citizens living in Ireland – have not yet been declared. The night was not an unquestioned success for the Socialists, though. Ségolène Royal, Hollande’s ex-partner who lost to Nicolas Sarkozy in the 2007 Presidential election, failed to win the seat she was contesting. Relations between Royal and Hollande have been tense since they ended their 30-year relationship in 2007, having had four children together. They were further soured when Hollande’s current partner, Valerie Trierweiler, took to Twitter to voice her support for Olivier Falomi, the socialist dissident against whom Royal was running. Beyond Hollande’s election promises of job creation and tax hikes, the government will have to pass unpopular measures to bring the deficit below three per cent of GDP as is required under EU rules. He has also floated a proposal for a €120 billion “growth pact” ahead of the summit of EU leaders in Brussels next week. Email “French elections: Hollande's Socialists win control of parliament”. 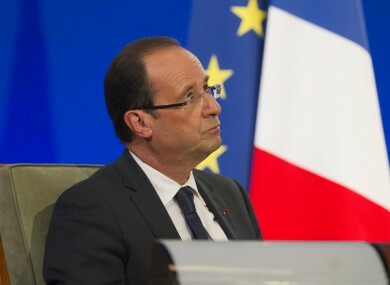 Feedback on “French elections: Hollande's Socialists win control of parliament”.